Lama Zopa Rinpoche teaching at Chag-tong Chen-tong Center, Tasmania, Australia, May 2018. Photo by Ven. Lobsang Sherab. —FPMT Celebrates Its 16th International Sangha Day! —Tse Chen Ling Buys Its Building! The next public teaching by Lama Zopa Rinpoche is scheduled to be in the USA. Rinpoche is giving a different initiation in Madrid, Spain, than initially publicized, and registration is now open for the teachings and initiation. See Lama Zopa Rinpoche’s schedule. 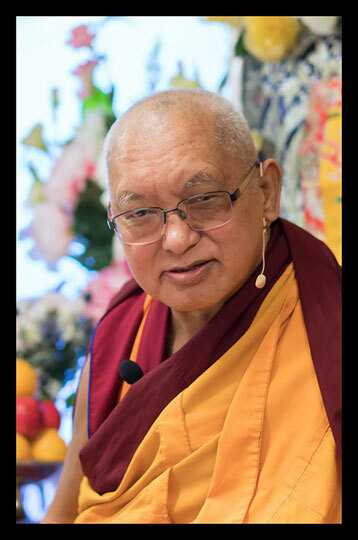 Enjoy livestreams of Rinpoche’s current teachings and recordings of recent teachings via Rinpoche Available Now! 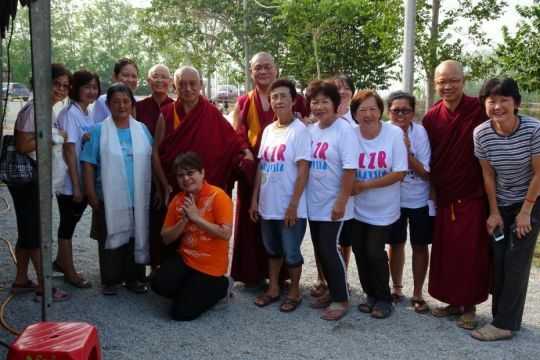 Lama Zopa Rinpoche with Great Medicine Buddha retreat volunteers at Rinchen Jangsem Ling, Triang, Malaysia, April 2016. Photo by Ven. Roger Kunsang. Lama Zopa Rinpoche, Ven. Lobsang Konchok, and Ven. 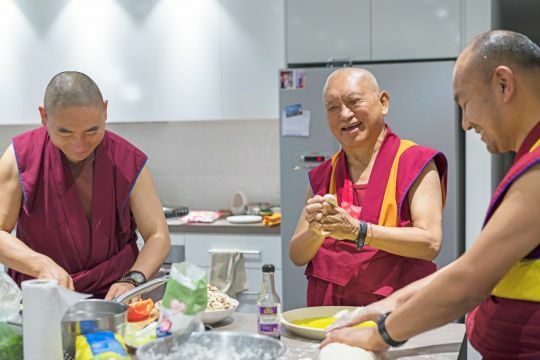 Thubten Tendar cooking dinner for a few students from Buddha House, Adelaide, Australia, May 2018. Photo by Ven. Lobsang Sherab. Lama Zopa Rinpoche with Ven. 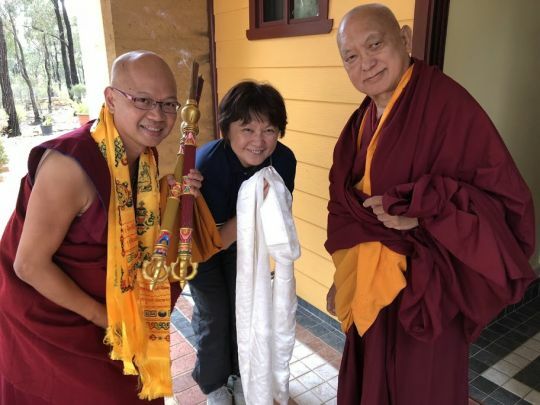 Sonam Yeshe and Pik Pin Goh from Malaysia, Thubten Shedrup Ling Monastery, Bendigo, Australia, April 2018. Photo by Ven. Roger Kunsang. Find a wide range of advice from Lama Zopa Rinpoche on Rinpoche’s Advice page. Subscribe to our FPMT news blog to get updates as soon as they are announced. During all of the four annual Buddha multiplying days (Losar, Saka Dawa, Chokhor Duchen, and Lha Bab Duchen) and on every full eclipse day, Tibetan 8th and 29th (protector days), the FPMT Puja Fund sponsors pujas, offerings, and practices personally selected by Lama Zopa Rinpoche to benefit the entire FPMT organization. The practices are done by up to 15,650 ordained Sangha and offerings are made to each, as a way to offer to Sangha members, who are examples of “pores of the guru,” and in appreciation of their time and service. On many of these holy days, the merit of any action is multiplied by 100 million and so this is not only an incredible way to create merit, but also a way to offer support to the individual Sangha members and the monasteries and nunneries where the pujas and practices are offered. All are welcome to participate in these incredible offerings. As a small example of what is offered, this includes: recitation of the Prajnaparamita (short, medium, and long versions) by the monks of Gyurme Tantric College; recitation of the entire Kangyur by the nuns of Kopan Nunnery; extensive offerings for Lama Zopa Rinpoche’s gurus and holy objects in India, Tibet, and Nepal; and many other virtuous activities, prayers, and pujas that were advised by Lama Zopa Rinpoche. Even offering one dollar to the Puja Fund means that you are offering toward all of the activities sponsored. Additionally, all are welcome to participate by rejoicing in the many pujas, practices, and offerings that will be offered. 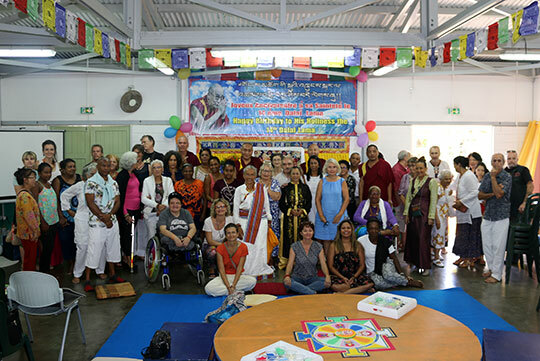 The International Merit Box Project, started in 2001, recently completed its 16th year of supporting projects and activities working to fulfill the FPMT mission. These funds come from offerings placed into Merit Boxes, which stand on home altars, and in FPMT centers and study groups all over the world. These offerings are collected once a year and become grants for a variety of Dharma activities. This year, the collective generosity of Merit Box practitioners provided funds for new publications, work on new prayer wheels, renovations at centers, group recitations of the Sutra of Golden Light in war-torn Sri Lanka, and other beneficial projects. See the full list of 2018 grants and learn more about the International Merit Box Project here. 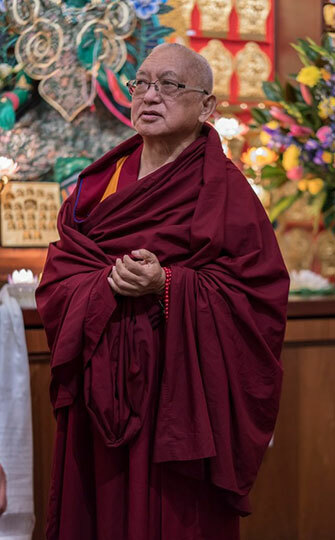 Lama Zopa Rinpoche during Saka Dawa celebrations, Chenrezig Institute, Australia, May 2018. Photo by Ven. Lobsang Sherab. Mantra Promised by the Arya Mother Liberator Herself, a Green Tara practice for dispelling obstacles and achieving success. Thanks to you all for organizing the practices requested by Lama Zopa Rinpoche for Tibet and to fulfill the wishes of His Holiness the Dalai Lama! We managed to offer more than Rinpoche requested, with a total of 7,312 Four Mandala Offerings to Tara pujas, and 342,004 Mantras Promised by Arya Mother Liberator (Tara)! The practices were offered to Rinpoche on Chokhor Duchen! You can find the count of practices offered and the original request under “Practices,” in the “Collected Advice from Rinpoche” section of the Affiliates Area. If you haven’t already, please update the FPMT Mission Statement on your center, project, service, or study group website as per our recent update. We are in the process of replacing the translations of the mission statement on FPMT.org. With thanks to our Spanish and Italian national coordinators, the Ethical Policy translations into Spanish and Italian have been updated. Find these under the “Translations” tab on the Affiliates Area homepage. FPMT Celebrates Its 16th International Sangha Day! On July 16, Chokhor Duchen, many FPMT centers around the world celebrated our precious Sangha! Tse Chen Ling Buys Its Building! Co-directors Ven. 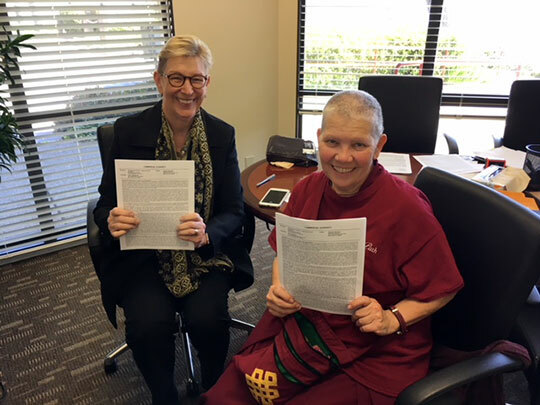 Carol Corradi and Peggy Bennington hold the title deed! Would you like to spend your days in a very meaningful way? Have a look at the regularly updated meritorious opportunities to offer service as a volunteer or as paid staff in FPMT centers, projects, and services around the world. Newly added: Land of Calm Abiding, USA, needs a new director. Contact information for FPMT centers, projects, and services can be found in the FPMT Directory.